A multi-purpose drum rack sporting a space-age, lightweight design, resolute grip and several available accessories for expansion. 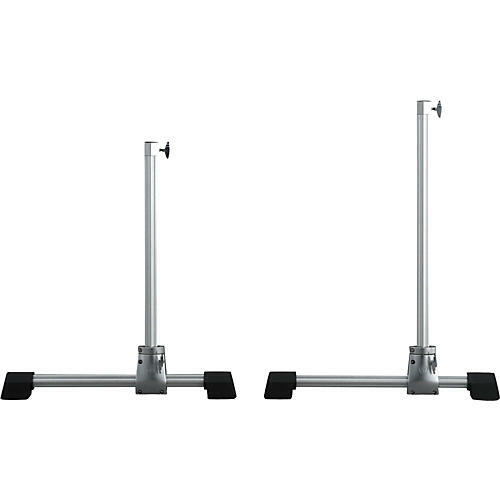 The Yamaha HexrackII T-Leg set consists of two legs and is fully compatible with Yamaha System Hardware. Compared to a typical hardware setup, the HexrackII uses less space and reduces floor clutter produced by stand legs around the kit. The system's pipes and racks are made from aluminum, which makes the system lighter, transportable and setup easier. And with a wide variety of optional clamps available, the rack system offers great expandability.